The name of this paper pulp lamp comes from one of the main characters of the Czech cartoon called “Rumcajs”. In this cartoon famous during the 90’ies in Poland the son of the main character “Cypisek” wear the specific kind of hat which shape was a source of inspiration for me to create this lamp. 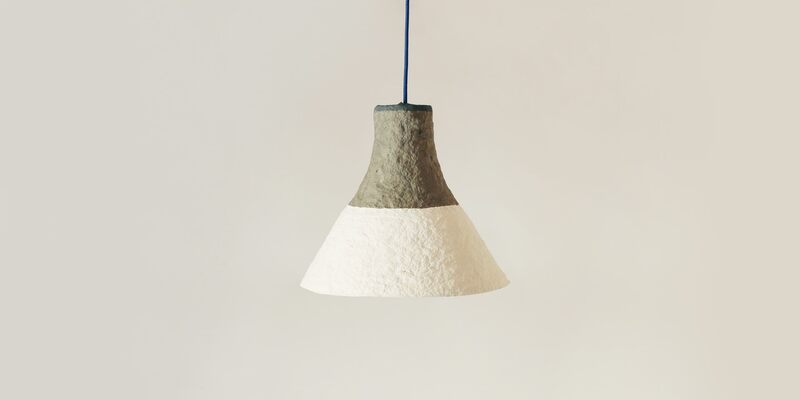 This lamp is made entirely from paper pulp obtained using only old newspapers. Dimensions: 33 cm high x 36 cm wide.